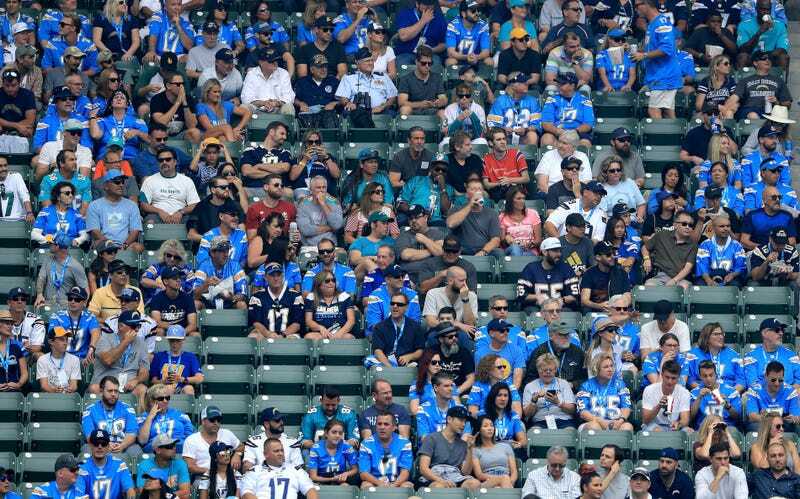 The Los Angeles Chargers are currently in a tiny stadium that can max out its capacity at 27,000. They’ve become a concern for the league’s other owners in terms of viability. Also, no one really cares about them since their true fanbase is in San Diego. But here’s some relief: They’ll be locked into L.A. for a minimum of 20 years. Per a source with knowledge of the situation, the Chargers have a firm 20-year lease at the venue being built by Rams owner Stan Kroenke. The Chargers also hold a pair of exclusive 10-year options after the first 20-year term. Don’t shrug at the existence of a 20-year lease and say, “Contracts were made to be broken.” Everything currently being sold at the venue — from naming rights to luxury boxes to sponsorships to advertising — hinges on at least 20 NFL games per year, for at least 20 years. Thus, a premature exit by the Chargers would be the first domino in a cascade of contractual breaches. As insistent as Florio is that the Chargers will serve out their 20-year sentence, this is the NFL we’re talking about. The people in charge very easily rip up contracts with their players. While an owner-on-owner betrayal would certainly be a step up, one of the parties involved skipped town on St. Louis to get here in the first place. These guys are also obscenely rich, and will eat costs out of spite or find a way to pass it off to someone else. It’s just very difficult to believe that there are a significant number of Angelenos, currently or in the future, who will ever emotionally invest in the Chargers.